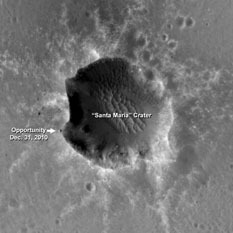 Mars Reconnaissance Orbiter has just snapped another photo of Opportunity sitting on the ground on Mars. These pictures never get old. While I was writing yesterday's blog entry on Mars Express' Phobos flybys I realized that I didn't understand Mars Express' orbit very well. 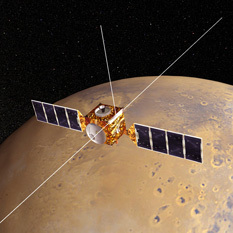 So I sent an inquiry to the Mars Express blog, which they answered in a blog entry today. 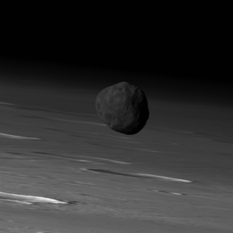 The Mars Express blog has been reactivated today, as a new series of Phobos flybys is already underway.